When it comes to boys and their toys, it doesn’t matter how useless a gadget is. Novelty is the real essence of a gadget. However, it’s refreshing to find gadgets that are not only useful, but also have an eco-friendly element to them. So, on this theme, I present a water powered calculator, a staple-less stapler, and a solar laptop charger. The water powered calculator is a clever little device that actually uses water to power it. Using a smart battery exploiting 2 metal alloys, the water generates an electricity current just enough to power a calculator. As the water evaporates, you just need to top it up with a little more water, roughly every 2 to 3 months. According to statistics on Nigel’s Eco Store, if everyone in UK offices saved just one staple a day, we’d save 72 tonnes of metal a year. The staple-less stapler uses a special cut and fold technique to attach up to 3 pages together. 3 pages is not a lot, but it’d be great to see it’s successor staple many more pages. And finally with the laptop solar charger. Solar laptop chargers are hard to come by as laptops are very energy hungry beasts. Phone and MP3 player chargers are highly common on the other hand. 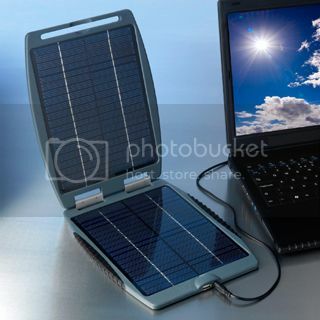 However, this new 10W solar charger is a ideal for charging laptops, as well as many other devices. The charger comes with many different adaptors to allow you to charge the most common electronic devices. It’s also portable enough to take it with you on business, ideal if you don’t have access to a power socket and the sun is shining! Although if the sun is shining, I suggest putting the laptop away and enjoying the sun. Particularly in the UK, warm sunny days are a rarity! This is a guest post written by Daniel Harrison of Daily Eco Tips. Dan is a typical boy who loves gadgets, but has a particular passion for eco friendly technology. 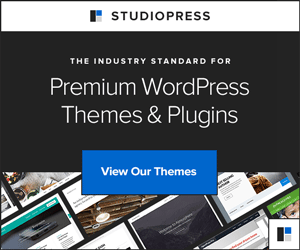 « Eco Office Gals Relaunch: Let’s Party! Great to see efforts being made to amke the office more green. lets see more just like this.